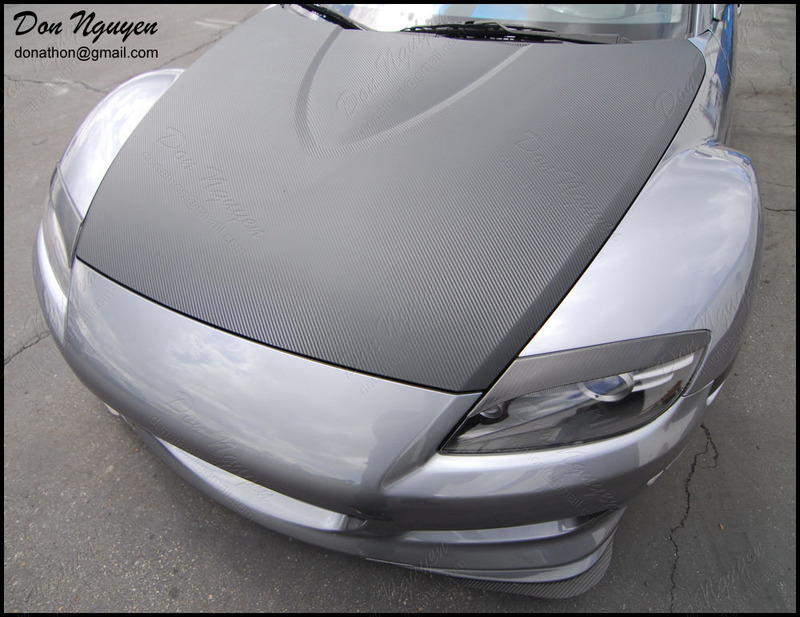 This gray / silver Mazda RX-8 came by to have me vinyl wrap the hood of his car with the 3M Di-Noc matte carbon fiber vinyl material to cover over hisfactory black hood that he had on there. 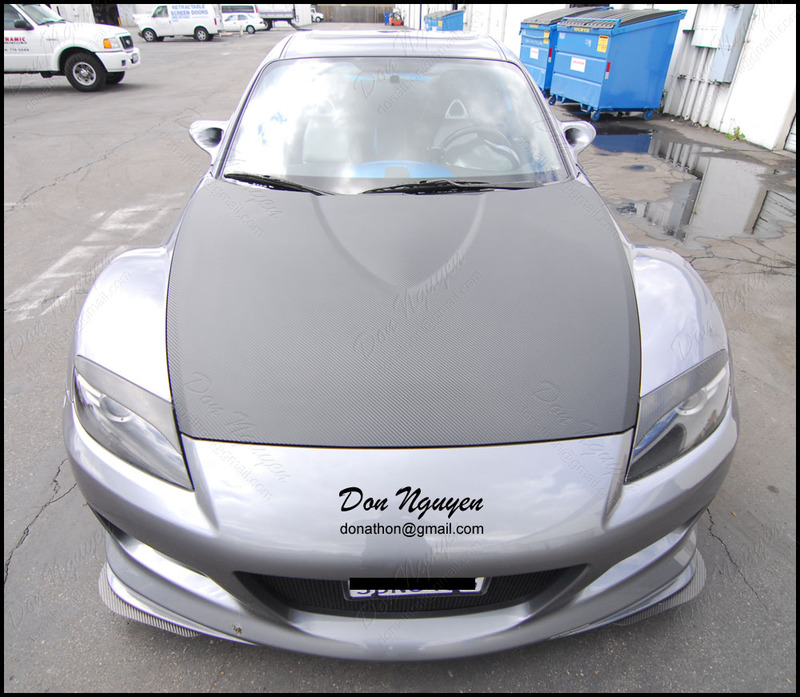 The owner of this car drove up to me in Anaheim Hills / Orange County from San Diego county to have me do the vinyl work on his car. 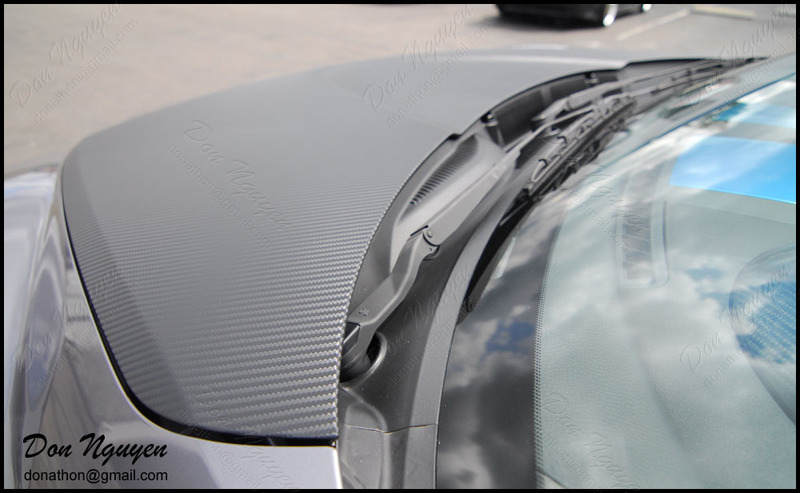 The weather was a bit over cast that day, so the carbon fiber weave in the vinyl did not stand out that much when photographed. From further away, the vinyl appears more of a solid flat/matte-ish and then when you get closer you start seeing the carbon fiber weaves in the vinyl. As comparison, the eyelids on the headlights are real carbon fiber pieces.